Some of the soldiers were disappointed by the fact that the operation was cut short and they were not given the chance to "complete the mission," as one soldier put it, while others said it is just a matter of time before they are called up again. Israel and Hamas reached an Egyptian-brokered ceasefire on Wednesday after eight days of fighting. The deal irked many residents of south Israel, who hoped Israel would launch a ground offensive in Gaza. 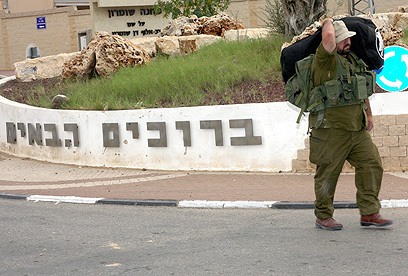 Gal Margolis, one of the reserve soldiers, said "as a resident of Beersheba there is a sense of disappointment. (The violence) will repeat itself and we'll find ourselves back here again and again. They (government) should have let us complete the mission." Ovad Nissan, another reservist, said "we are all happy to go home, but there is a certain disappointment. We could have done more. I believe a ground force would have cleared the territory. The calm will not last." Oded Weiner, who fought in both Operation Defensive Shield and Operation Cast Lead, went home to his wife and three children. "The army could have done the job. Invading Gaza is not the ideal solution, but had we been inside much heavier pressure would have been applied on the terror organizations," he said. IDF Chief of Staff Lt.-Gen. Benny Gantz said Thursday that the army had struck every possible terror target in Gaza during Operation Pillar of Defense. According to Gantz, the IDF attacked "everything that moves in the Strip," referring to "terror infrastructure, tunnels… weapons caches, launching sites and strategic facilities." 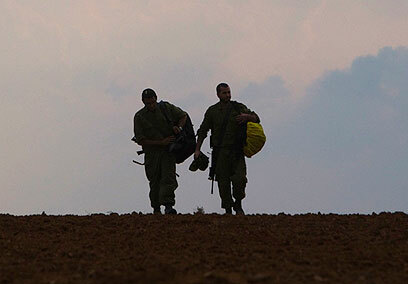 See all talkbacks "IDF reservists released after Gaza op: 'We'll be back'"